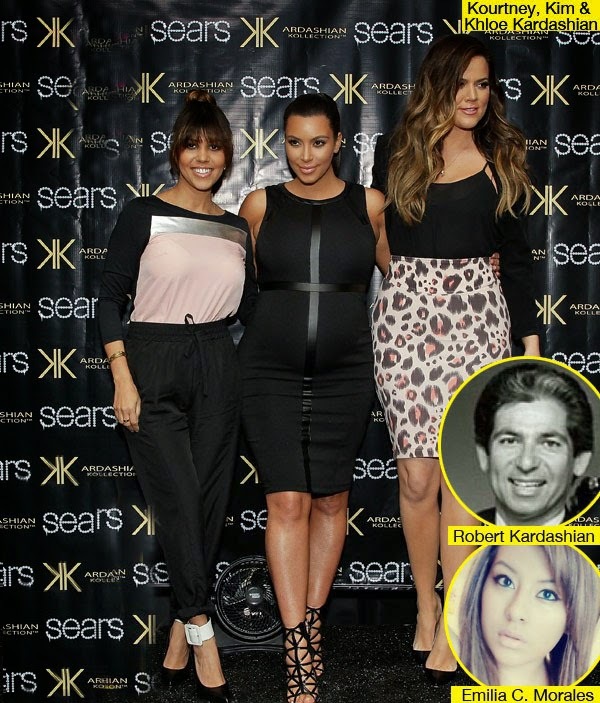 Oby's Blog: Kardashian's Secrete Half Sister Revealed!!! Kardashian's Secrete Half Sister Revealed!!! There’s a shocking report that Kim, Kourtney, Khloe and Rob have a secret half-sister, Emilia C. Morales, that lives in England! She has strikingly similar features but the report definitely has some holes in it. HollywoodLifers, keep reading and tell us if you think she’s the newest Kardashian sister! Do the Kardashians have to make room for one more place setting at Thanksgiving? The reality stars have reportedly been presented with the news that Emilia C. Morales, 21, is claiming to be the love child of the late Robert Kardashian! The half-Ecuadorian beauty has been reportedly running around the UK telling everyone that she’s a Kardashian, according to Ok! Magazine. Do The Kardashians Have A Secret Sister? Emilia, who lives in England, claims that her mom had an affair with Robert when he stopped over in London for a business trip. She believes that she is the sister to Kim, Kourtney, Khloe and Rob. “This has a tinge of believability, and the girl does have the look of a Kardashian,” a source says. But the report goes on to say that Emilia is an aspiring reality TV star and that she filmed a pilot for a show called Keeping It South, but it never got picked up. But even though Emilia is claiming to be related to the famous family, the Kardashians aren’t worried about it. Emilia is reportedly refusing to take a DNA test, especially after she was reportedly warned about making a story like this up.